It’s Fall, and what better way to celebrate the colors than with the new Urban Decay NAKED Cherry Collection? The colors, rich in ruby, burgundy and shades in between, perfectly capture the mood of the season. 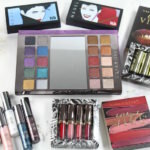 If you don’t have this collection yet, put it on your radar! 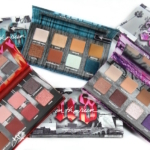 Urban Decay has built an amazing franchise with the NAKED palettes. Building on the original trio of neutrals, they kicked it up a notch with NAKED Heat, which focused on the super hot “sunset” colors. 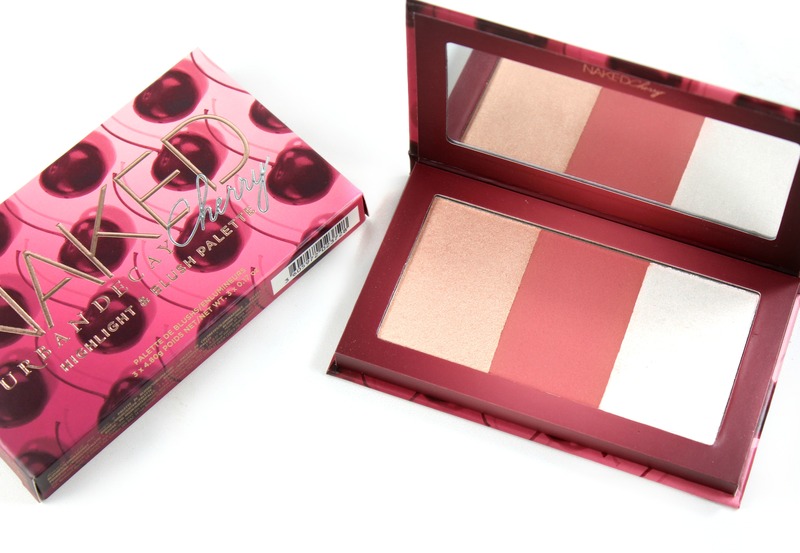 Now, Urban Decay gives us a cherry-focused collection. My jaw literally dropped when I saw it on the ‘gram. Seeing it in person, this collection is even more gorgeous, and the packaging is stunning. 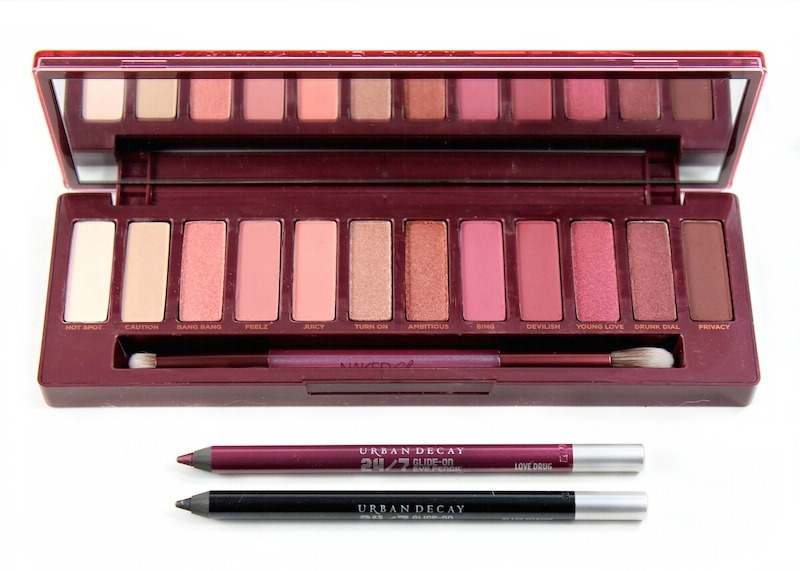 The NAKED Cherry Eyeshadow Palette: A collection of 12 eyeshadows from palest pink (Hot Spot) to deepest burgundy (Privacy). The amount of looks you can create is endless. 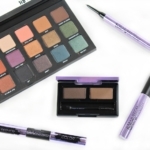 The quality of the eyeshadows is excellent; rich, saturated color payoff with little to no fallout. The prettiest soft, smoky eye can be created by applying Drunk Dial to the lid and lower eyelash area. Apply Privacy in the crease and blend, blend, blend. Highlight below the eyebrows with Turn On; add Bang Bang to the inner corner of your eye area. Line eyes with 24/7 Glide-On Eye Pencil in Love Drug. I’m also obsessed with the 24/7 Glide-On Eye Pencils in Love Drug (deep wine metallic) and Black Market (black satin), shown above. If you’re looking for a great eyelining pencil, this is one of the absolute best. 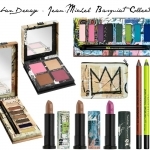 I really wish UD would have done a burgundy mascara to round out this collection! I wasn’t too sure about the NAKED Cherry Highlight & Blush Palette when I first opened it. There are three shades in the palette: a champagne highlighter, a universally flattering matte blush, and white “complexion topper”, which has iridescent-pink shift shimmer. I was hesitant about the blush shade, but it’s actually very wearable for both warm and cool tones. The color payoff is good, as is the blendability. 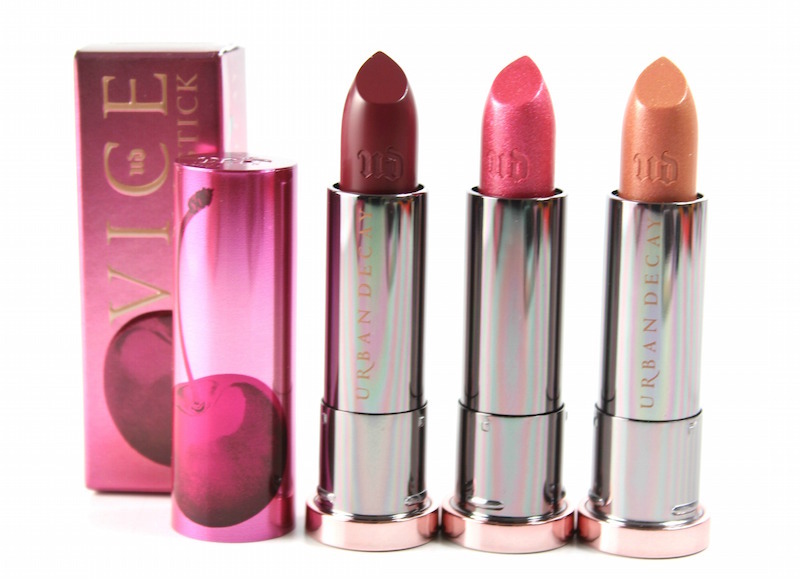 There are three new VICE Lipsticks: Cherry (deep berry wine cream), Devilish (berry pink with tonal micro-shimmer) and Juicy ( light peach-pink with copper micro-shimmer). The Cherry shade is very intense; apply carefully. The first time I applied Cherry, it was way too dark, even though I love vampy shades. My best advice is to either apply with your finger like a stain and build intensity, or use a lip brush, which is what I do. The two other lipstick shades are very pretty and wearable. I love the packaging with the cherry on the side; just found it torturous trying to get the caps off! All Nighter Cherry-Scented Long Lasting Makeup Setting Spray: I use All Nighter Setting Spray daily. The very subtle cherry scent to this travel-sized spray doesn’t last long, but it’s a fun way to finish your look. 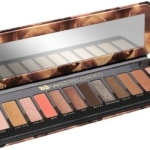 The Urban Decay NAKED Cherry Collection is available now at Sephora, ULTA and at urbandecaycosmetics.com. Will you be picking anything up? You should definitely not miss it!